From low-cost tactile sensors to undersea flapping fins, the four projects selected as winners of the 2016 Soft Robotics Competition showcase the diversity of this rapidly growing field. Now entering its third year, the competition was developed by Conor Walsh, Associate Professor of Mechanical and Biomedical Engineering at the Harvard John A. Paulson School of Engineering and Applied Sciences (SEAS), and Dónal Holland, Assistant Professor at University College Dublin and Associate at SEAS, as a way to encourage individuals to take advantage of the resources provided in the open-source Soft Robotics Toolkit. They are now seeking entries for the 2017 Soft Robotics Competition. The United Kingdom’s Bristol Robotics Laboratory took home first prize in the Contributions in Soft Robotics Research category for TacTip, a 3D-printed optical tactile sensor. The device, which has been under development for more than seven years, acts as a cheap, artificial fingertip that can be easily built and customized with a 3D printer. The sensors, which can be mounted on robotic arms or hands, could enable future robots to have human-like dexterity. In the College-Level Soft Robotics Design Competition, the team from Worcester Polytechnic Institute (WPI) claimed first prize for their Bio-Inspired Manta Ray Robot. The team developed a fin made from molded silicone that will flap as the channels inside are pressurized and depressurized. The fin is designed to power an autonomous underwater vehicle, enabling these robotic explorers to quickly and smoothly glide through uncharted reaches of the ocean. In the High School Design Competition, a new category in 2016, two winners were named. 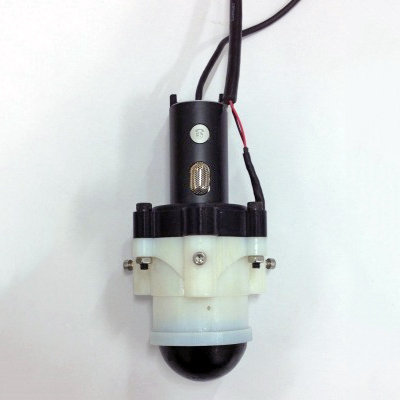 Aidan Leitch, a freshman at Horace Greeley High School in Chappaqua, N.Y., created a Pneumatic Deformation Sensor, which is a soft air bladder connected to an electrical pressure sensor and microcontroller that provides real-time feedback on how it deforms. Harrison Young, a recent graduate of Robbinsville High School in Robbinsville, N.J., developed the Fabric-Reinforced Controlled Motion Robot, which uses silicone bladders in a fabric sleeve to mimic the basic locomotive methods of both an earthworm and an inchworm. Individuals and teams from around world submitted more than 80 designs for the 2016 competition. Holland said he was especially impressed with the increased number and high quality of submissions to the college and high school design categories. An international panel of nine robotics researchers selected the winners. All entrants were required to submit detailed documentation that will be incorporated into the Soft Robotics Toolkit. The toolkit, which includes contributions from researchers from Harvard and other institutions, provides a set of intellectual tools that one can use to design and construct a robot using soft, flexible materials. It includes resources such as step-by-step instructions on building actuators and sensors, lists of suggested materials, and how-to fabrication videos. This video shows the TacTip, the winning entry in the Contributions in Soft Robotics Research category. Registration is now open for the third annual Soft Robotics Competition. Entries are sought in three categories: the High School Soft Robotics Design Competition, College Soft Robotics Design Competition, and Soft Robotics Research Challenge. All entrants must submit project titles and descriptions by the end of February. The competition will conclude on June 12 and winners will be announced in July.